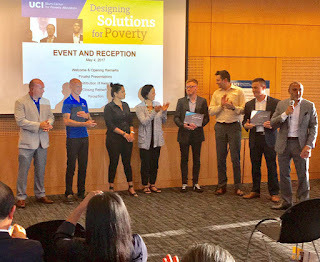 The Institute for Money, Technology & Financial Inclusion (IMTFI)'s Loy Loy Team won second place ($5000) at the UCI Blum Center's Designing Solutions for Poverty Competition for converting a financial education board game "Loy Loy - The Savings Game" into an app. The innovative financial education boardgame, ‘Loy Loy’ (which means "Money Money"), has been successfully piloted in Cambodia and the United States with low-income communities and among stakeholders in policy and industry. It made its debut at the 2016 Mekong Financial Inclusion Forum and has proven to be a valuable interactive tool for teaching and testing financial inclusion solutions. An electronic version of Loy Loy will be developed and distributed worldwide to NGO partners, universities and governments and enable better savings practices and a more complex understanding of the social and economic dynamics of poverty. 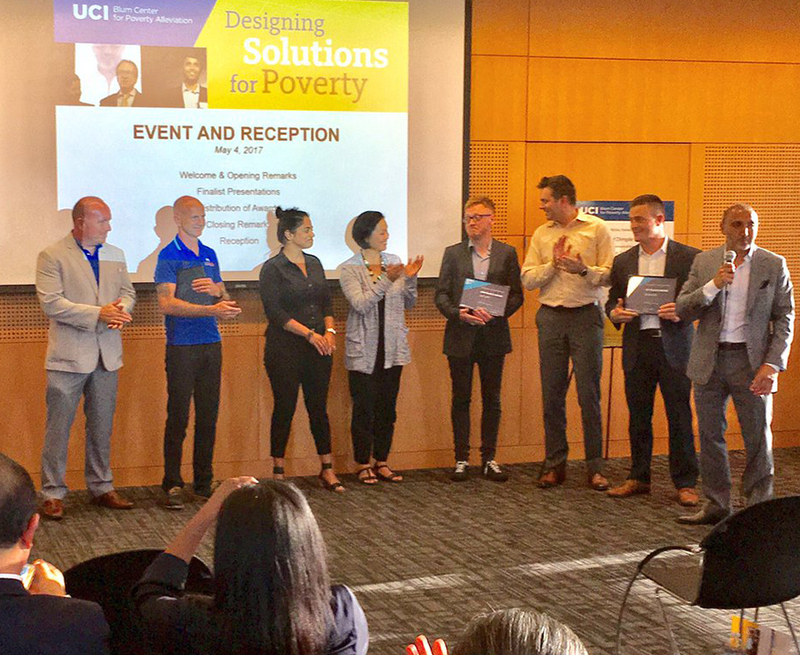 IMTFI's Loy Loy Team, one out of nine semi-finalist entrepreneur groups, presented their project on May 1 to a panel of distinguished OC judges and made it as one of the top three finalists to present on May 4 at The Paul Merage School of Business at UCI. They will be receiving their award check at the New Venture Competitions Awards Ceremony on May 12th sponsored by the Beall Center for Innovation and Entrepreneurship. Loy Loy Team - IMTFI Fellow Andrew Crawford, IMTFI Postdoctoral Scholar Mrinalini Tankha, Institute Manager Jenny Fan with the supervision of IMTFI Director Bill Maurer.